Ludovic Tortech was recruited as assistant professor by the university Pierre et Marie Curie, UPMC, (part of the consortium “Sorbonne Université”) to work at the CEA (in an academic group of IPCM) on eltronic molecular and more specifically organic photovoltaic. At the beginning of 2014 he has joined the e-POM research team of UPMC and later the LICSEN. The re-enforce the collaboration between the university and CEA a consortium agreement was signed. He is sharing his time between the teaching activities and research. The objectives are to go in deeper and better understanding in the electronic processes in the electronic molecular devices we study. We developed the synthesis of original organic1,2 (and organo-metallic) molecules principally used as interfacial layer to inject electron onto the p-type of the active layer of organic solar cells. We are deposing molecules (or metal) onto substrates, principally ITO on glass. At the laboratory we are equipped of a high vacuum thermal evaporator and a spin-coater into a set of gloves box. 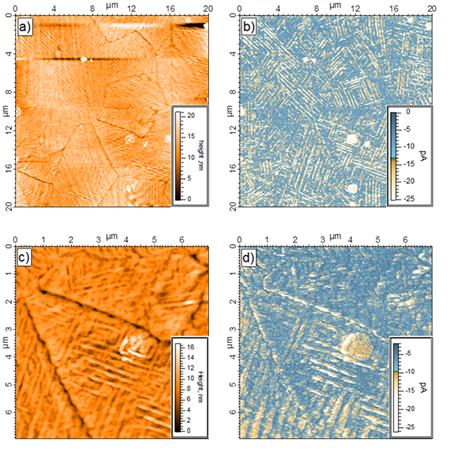 In collaboration with Jean-Baptiste Moussy, from SPEC (CEA), we are developing original multilayer structures based on the structure metal/orga/metal to elaborate spin valve4,5. The ending of synthesizing molecules and depositing it is to make devices. At the end most of the devices are photovoltaic cells. The cells are tested using an optical bench of measurement in the dark, under white illumination (100mW/cm²) and monochromatic light. Since the beginning of his research activities 3 PhDs under his supervision were defend in the thematic of organic solar cells. In parallele several fellow BC’s and Masters have performed their laboratory training with us. In 2014 the LabEx Michem funded a collaborative project (coll. LCPMR, François Rochet, Jean-jacques gallet and Fabrice Bournel) to finance the PhD grant of Quentin Arnoux. the physics consortium of the plateau de Saclay (RTRA) has funded a collaborative spintronic project (coll. Jean-Baptiste Moussy and Talal Mallah). (1) Bertrand, G.; Tortech, L.; Fichou, D.; Malacria, M.; Aubert, C.; Gandon, V. An Improved Protocol for the Synthesis of [(η4-C4R4)Co(η5-C5H5)] Complexes. Organometallics 2012, 31, 126–132. 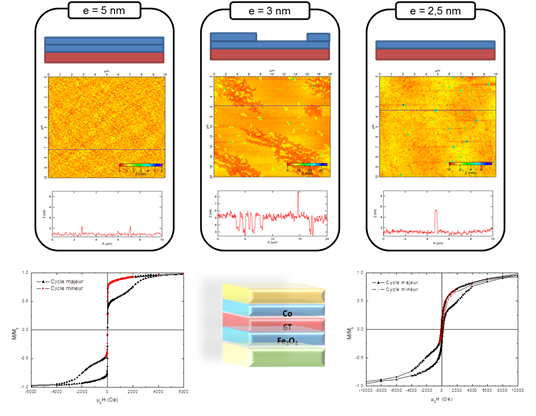 (2) Berny, S.; Tortech, L.; Véber, M.; Fichou, D. Dithiapyrannylidenes as Efficient Hole Collection Interfacial Layers in Organic Solar Cells. ACS Appl. Mater. Interfaces 2010, 2, 3059–3068. 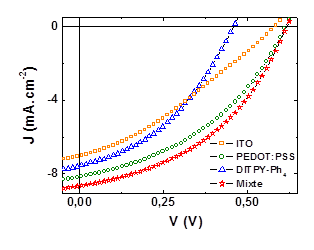 (3) Alaaeddine, M.; Zhu, Q.; Fichou, D.; Izzet, G.; Rault, J. E.; Barrett, N.; Proust, A.; Tortech, L. Enhancement of Photovoltaic Efficiency by Insertion of a Polyoxometalate Layer at the Anode of an Organic Solar Cell. Inorg. Chem. 2014, 1, 682–688. (4) Blouzon, C.; Ott, F.; Tortech, L.; Fichou, D.; Moussy, J.-B. Anti-Ferromagnetic Coupling in Hybrid Magnetic Tunnel Junctions Mediated by Monomolecular Layers of Α-Sexithiophene. Appl. Phys. Lett. 2013, 103, 042417. (5) Berny, S.; Tortech, L.; Fichou, D.; Matzen, S.; Moussy, J.-B. Organic-Inorganic Magnetic Tunnel Heterojunctions Based on Dithiapyrannylidene Ultrathin Films Grown on Fe[sub 3]O[sub 4](111). Appl. Phys. Lett. 2010, 97, 253303. (6) Bertrand, G. H. V.; Tortech, L.; Gandon, V.; Aubert, C.; Fichou, D. Synthesis and Photovoltaic Performances in Solution-Processed BHJs of Oligothiophene-Substituted Organocobalt Complexes [(η4-C4(nT)4)Co(η5-C5H5)]. Chem. Commun. 2014, 50, 8663–8666.